Action Comics NO.454 (1975): Superman Burger Binge! 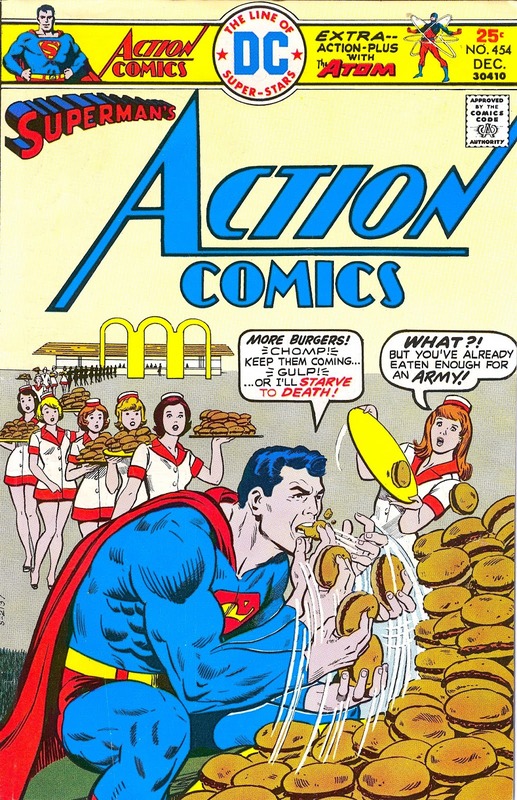 Superman battles the burger munchies outside of a knockoff McDonald's in this classic cover from Action Comics NO.454 (1975). Approved by the Comics Code Authority. Only 25¢!